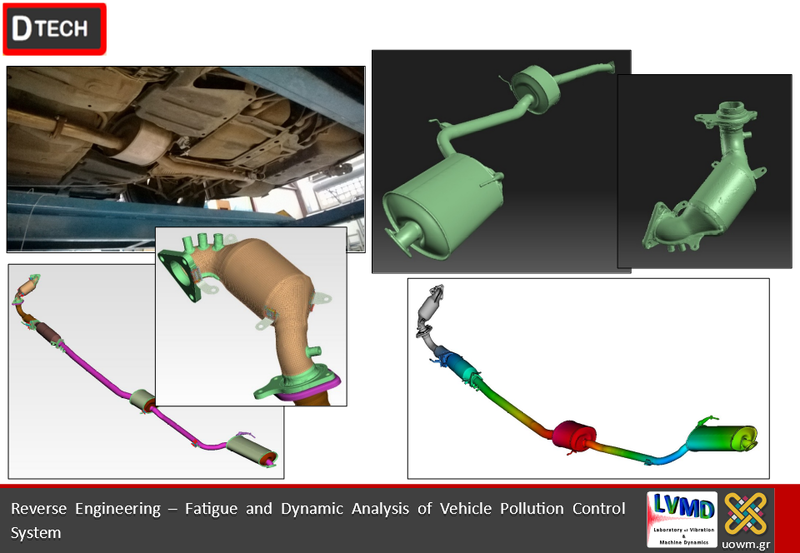 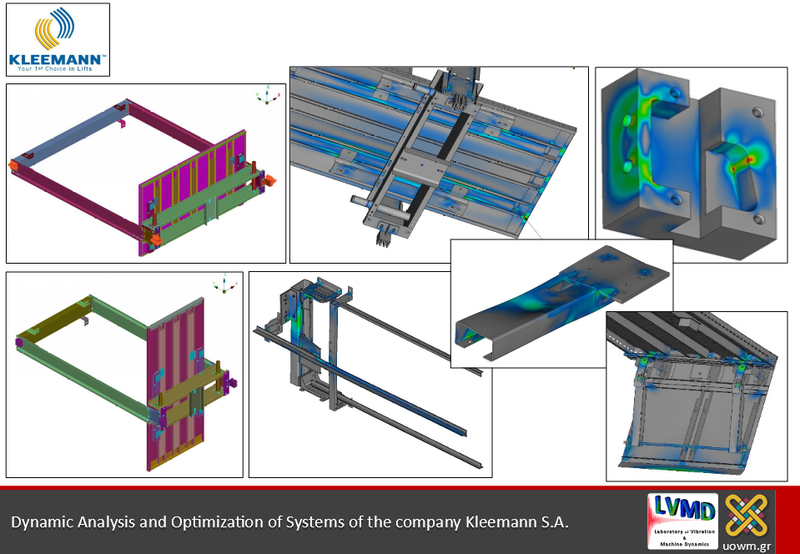 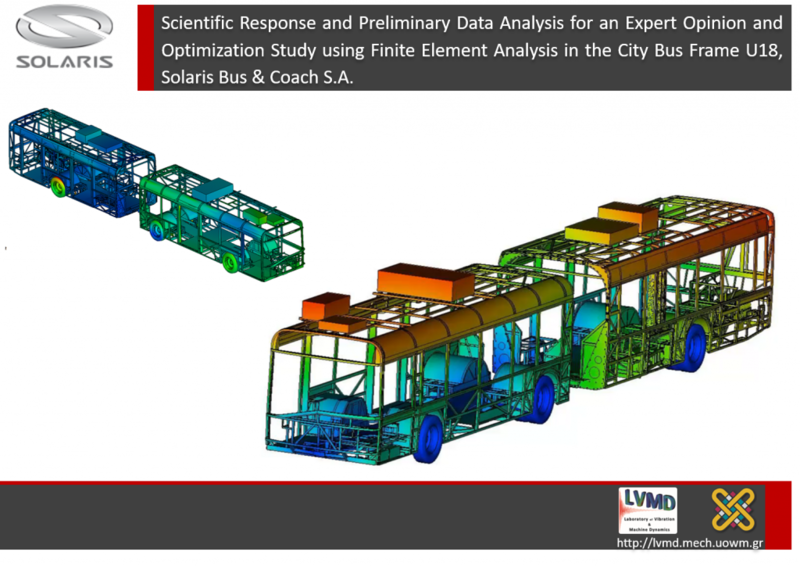 2019 – 2020: Scientific Response and Preliminary Data Analysis for an Expert Opinion and Optimization Study using Finite Element Analysis in the City Bus Frame U18. 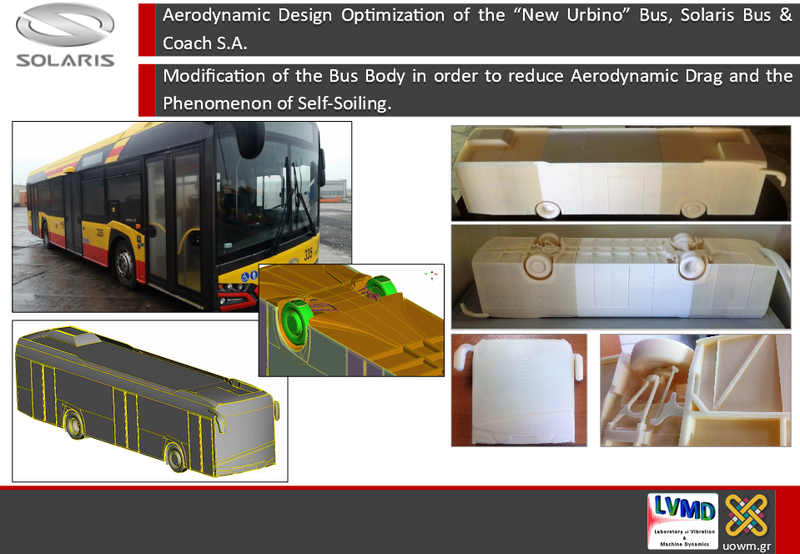 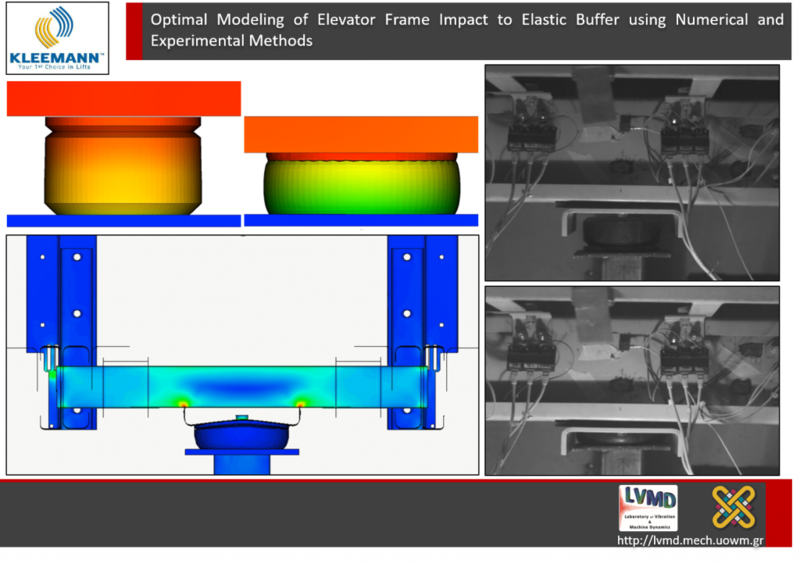 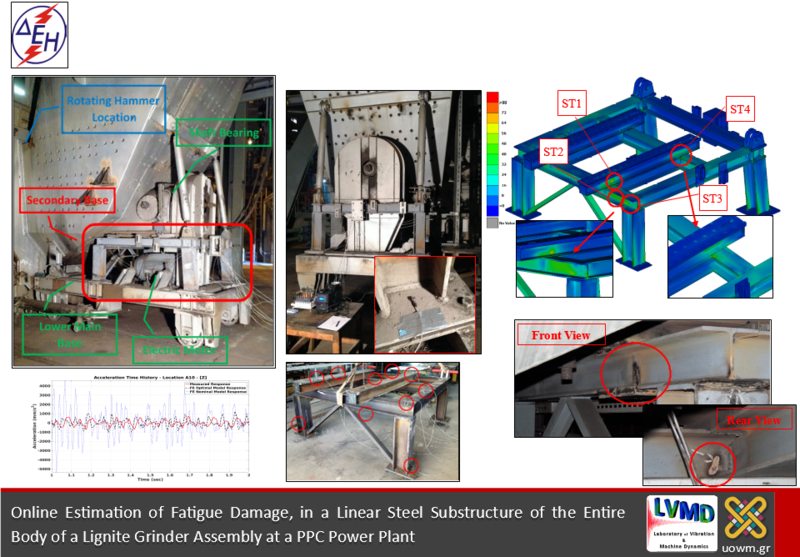 Solaris Bus & Coach S.A.
2018 – 2019: Optimal Modeling of Elevator Frame Impact to Elastic Buffer using Numerical and Experimental Methods, KLEEMANN S.A.
2018 – 2019: Modification of the Bus Body in order to reduce Aerodynamic Drag and the Phenomenon of Self-Soiling, Solaris Bus & Coach S.A.
2017 – 2018: Aerodynamic Analysis and Optimization of the “New Urbino” Bus, Solaris Bus & Coach S.A.
2016 – 2017: Dynamic Response Estimation, Fatigue Prediction and Optimal Redesign of a Linear Steel Substructure of the Entire Body of a Lignite Grinder Assembly at Meliti Power Plant, Public Power Corporation S.A.
2016 – 2017: Configuration and Optimization of Methods for Design and Construction of Insulations in Refrigerated Vehicles, DOUNAS ABEE – STATHIS. 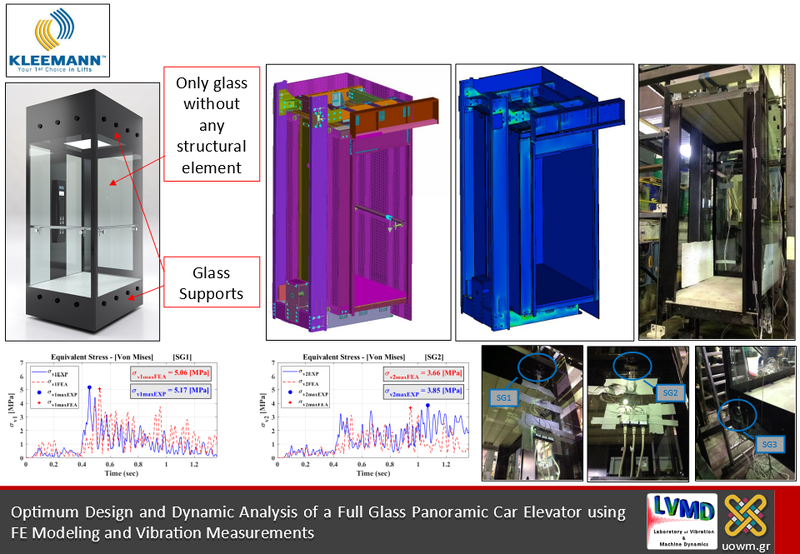 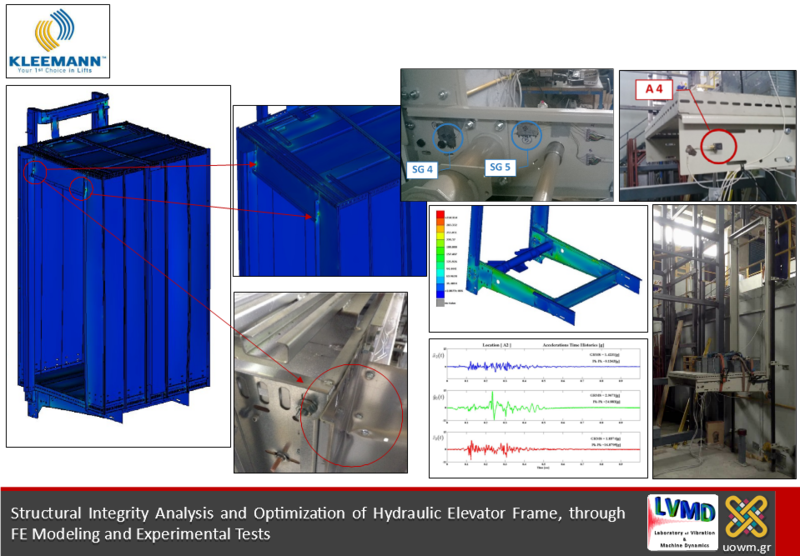 2015 – 2017: Optimum Design and Dynamic Analysis of a Panoramic Elevator Frame through Numerical and Experimental Methods, KLEEMANN S.A.
2015 – 2016: Measurement of Acceleration Time Histories of an Elevator Chassis in Real Operating Conditions, BLAU EI. 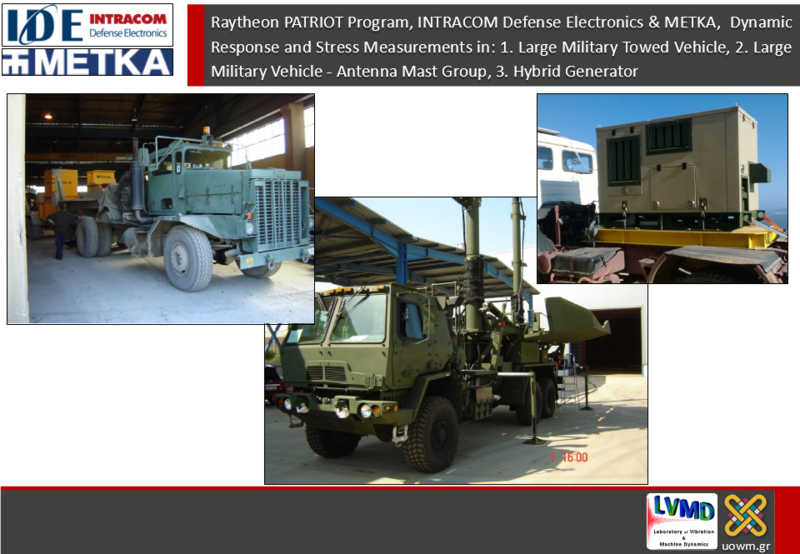 2015 – 2016: Dynamic Analysis of Generator on a Military Vehicle, INTRACOM S.A. Defense Electronic Systems. 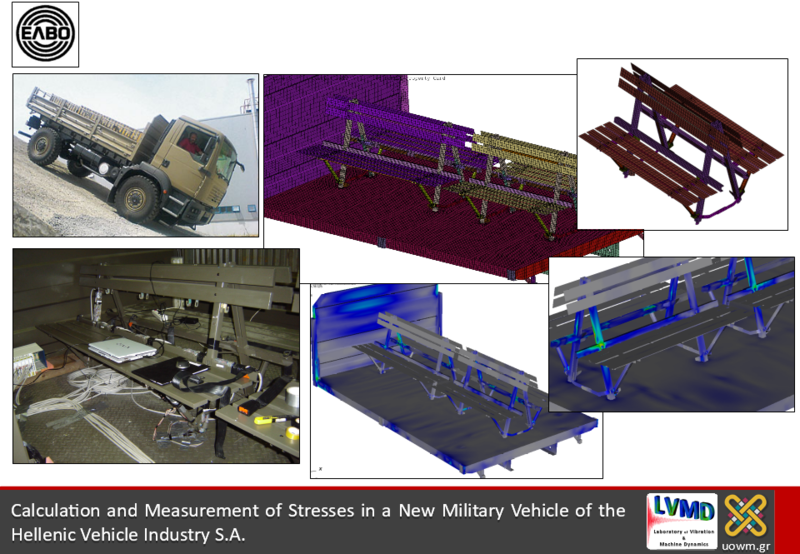 2014 – 2015: Dynamic Analysis and Optimization of Systems of the company Kleemann S.A., KLEEMANN S.A.
2013 – 2014: Dynamic Response and Stress Measurements in a Large Military Vehicle (Raytheon PATRIOT Program Antenna Mast Group – Mobility Tests), INTRACOM S.A. Defense Electronic Systems. 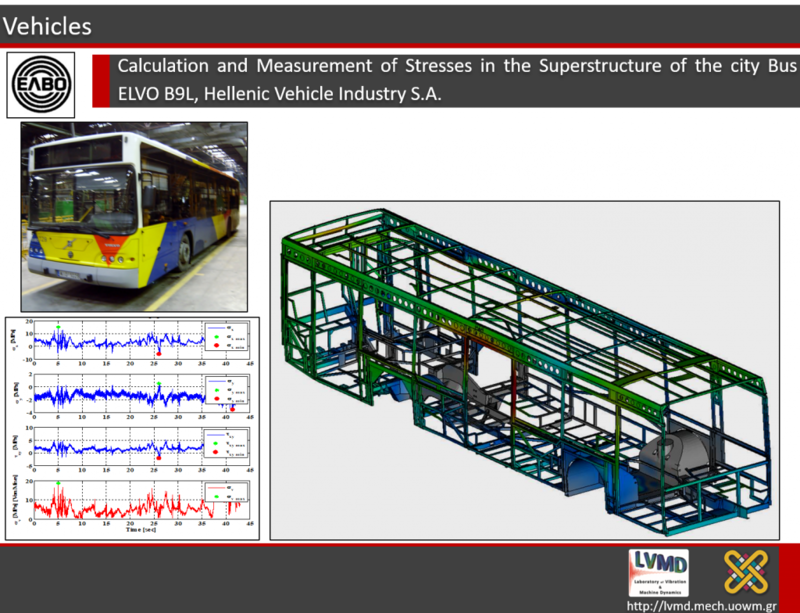 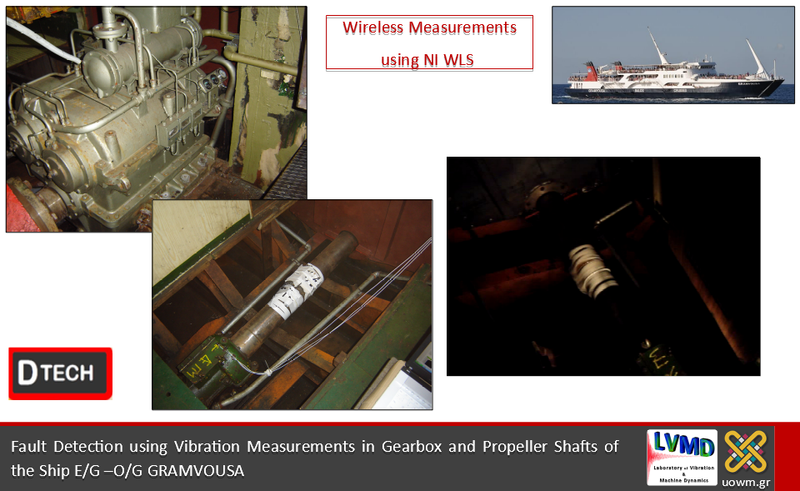 2012 – 2013: Verification of structural integrity of hydraulic lift by using progressive safety gear of the company Kleemann S.A., KLEEMANN S.A.
2012 – 2014: Calculation and Measurement of Stresses in the superstructure of the city bus ELVO B9L, Hellenic Vehicle Industry S.A.
2011 – 2014: Vehicle Polluting System Vibrational Behavior Study, DTECH S.A.
2010 – 2011: Dynamic Response and Stress Measurements in a Large Military Towed Vehicle (Raytheon PATRIOT Launcher Trailer – Mobility Tests), MΕTKΑ S.A.
2009 – 2010: Calculation and Measurement of Stresses in a New Military Vehicle of the Hellenic Vehicle Industry, Hellenic Vehicle Ιndustry S.A.
2008 – 2009: Measurement of Axle and Gearbox Torsional Vibrations and Acceleration Level in a Passenger Ship, DTECH S.A.
2008 – 2009: Measurement of Stresses in an Aluminum Frame of a Truck, DΟUΝΑS ABEE – STATHIS. 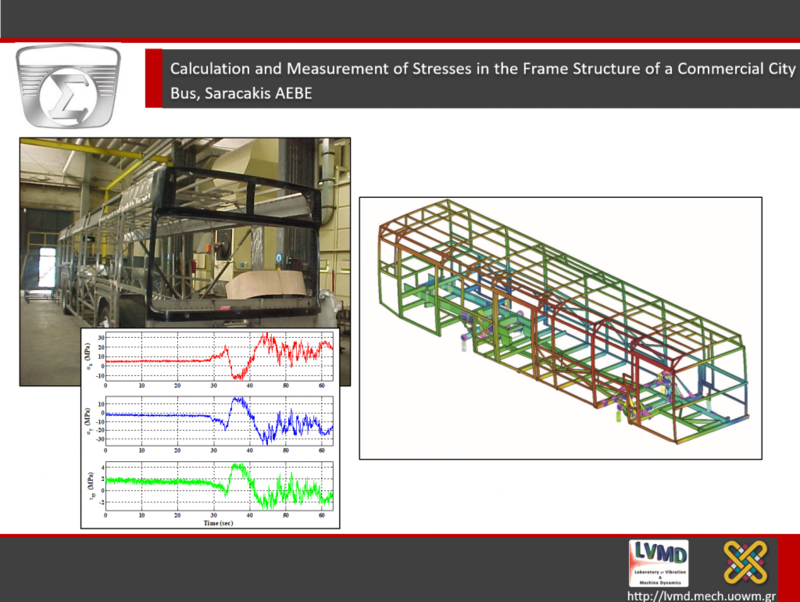 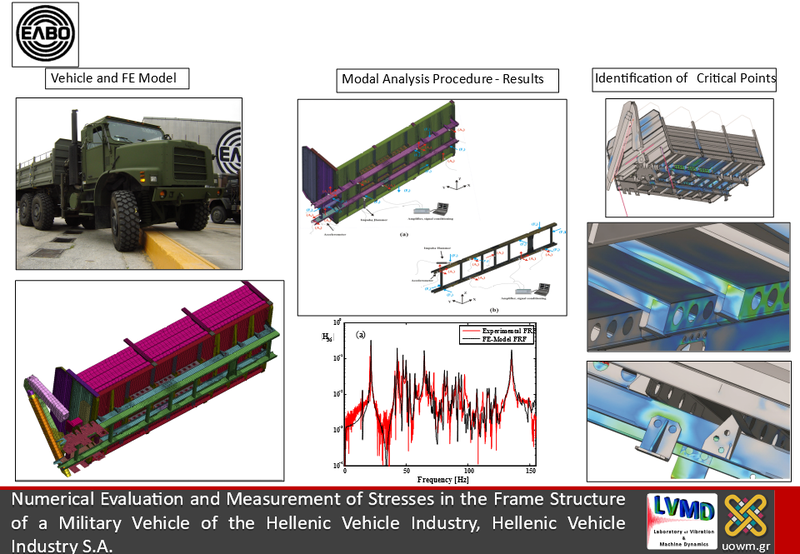 2007 – 2008: Numerical Evaluation and Measurement of Stresses in the Frame Structure of a Military Vehicle of the Hellenic Vehicle Industry, Hellenic Vehicle Industry S.A.